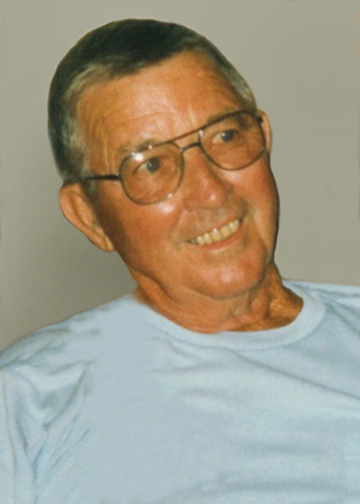 Louis C. “Brother” Trahan, 95, of Port Neches, died Friday, February 8, 2019, at The Medical Center of Southeast Texas, Port Arthur. He was born on December 5, 1923, to Anita Foreman Trahan and Abel Trahan. Brother was a United States Army Air Corps veteran and he was retired with Mobil Oil as a night maintenance supervisor. Brother is survived by his son, James L. Trahan and his wife, Barbara, of Crystal Beach; grandchildren, Jennifer Espiritu, of League City; Erin Broussard and her husband, Brian, of Flower Mound; Ryan Trahan and his wife, Kristin, of Lago Vista; and Ashley Trahan, of Parker, Colorado; great-grandchildren, Ethan, Olivia and Alec Espiritu, Brittan and Mauri Broussard, and Madeleine and Sophie Trahan; sister, Betty Summers, of Lumberton; and numerous nieces and nephews. He is preceded in death by his parents; wife, Ethel Jean Trahan; son, Jerry Lynn Trahan; sister, Melba Trotter; and brother, Fred Trahan. A gathering of Mr. Trahan’s family and friends will be from 6:00 p.m. until 8:00 p.m., Tuesday, February 12, 2019, at Broussard’s, 1605 North Major Drive Beaumont. His funeral service will be Wednesday, February 13, 2019, at Broussard’s, with his interment to follow at Magnolia Cemetery, Beaumont. In lieu of flowers, memorial contributions may be made to an organization of one’s choice. Jimmy I am sorry to hear of .your Dad's passing. My prayers are with you and your family. Our sympathies to Brother’s family and friends. We pray the Lord will strengthen you and provide solace to your hearts and minds like ony He can do. as you walk through this time of deep loss. Brother lived a long and wonderful life. Prayers to all the Trahan’s! Such a joy to have known and spent time with "brother" Our prayers and love are with the whole family. “Brother “ loved his friends and family. He was proud of the “oil funnel” that was made for him by Cathy’s Dad, Gene, and would always show it to us. He will be missed. May God bring peace and comfort to all his family and friends. Oh my, what fond memories of being next door neighbors, going to the beach and crabbing with Brother and Ethel. What a fine gentleman. He will be missed.